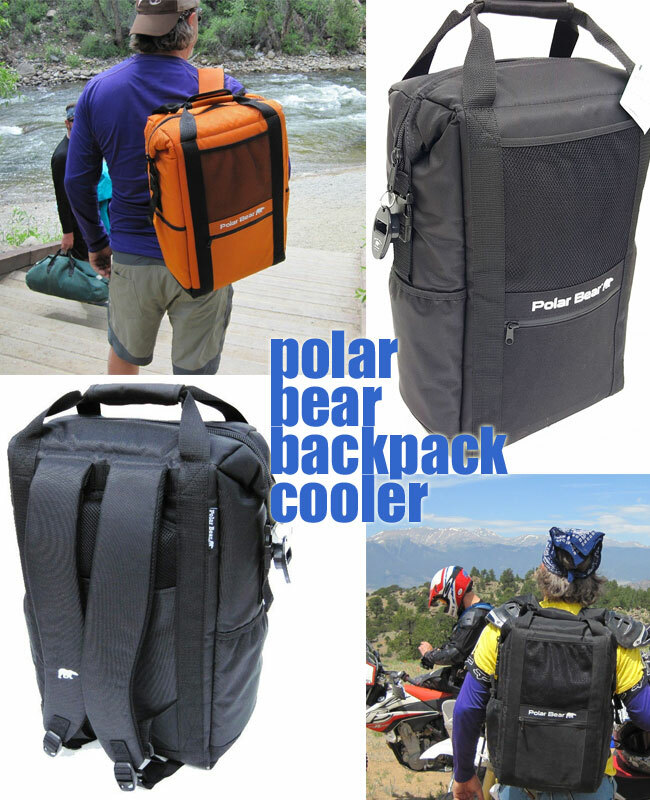 Polar Bear Backpack Cooler - It Cools/Warms for 24 Hours! 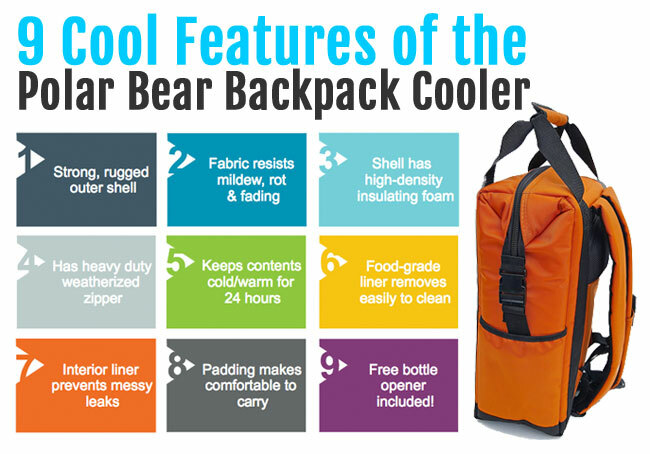 Polar Bear Backpack Cooler – It Cools/Warms for 24 Hours! If you can’t tell by the photos above, this is a heavy duty backpack cooler. Haul it around camping, river rafting, boating and more. The Polar Bear Cooler Can Handle Rugged Excursions. First of all, the outer shell is made of 1000 Denier Cordura Nylon. To put this in perspective, most rugged backpacks use 600 Denier Nylon or Polyester. This pack stands out from the pack in both strength and durability. It dries fast and repels water. In addition, this fabric resists fading, abrasion, rot and mildew. Second, the shell also contains high-density open cell foam. The “high density” level of foam has highest longevity and performance rating. In short, you can expect this rugged backpack cooler to last a long time. Third, the Polar Bear Cooler features a heavy duty weatherized YKK #10 zipper. Basically, these zippers are ultra strong and durable. You typically find them on ski jackets or outerwear. 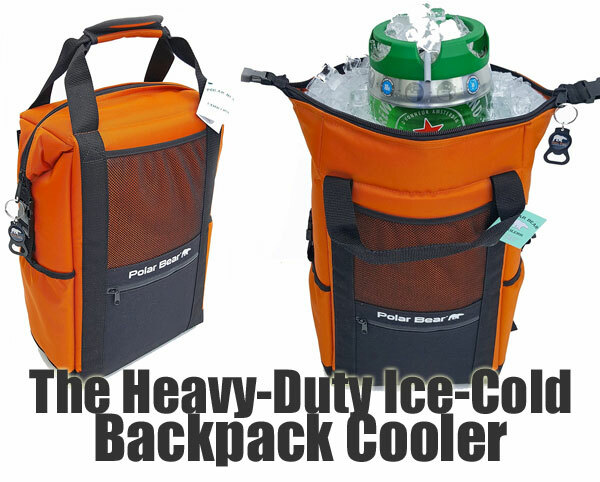 This Backpack Cooler Keeps Contents Cold/Warm for 24 hours! Yes, The Polar Bear keeps ice for at least 24 hours in 100 degree heat. The interior DuraTemp food grade liner also prevents leaks. By the way, you can easily remove the liner for quick and simple cleaning. I think it’s especially important that rugged outdoor gear is easy to clean because it tend to get dirty fast. Low maintenance is key! In addition, the high density foam that I mentioned above creates a super solid insulation barrier. Whether you want to keep contents warm or cold, this foam does the job. And I can’t forget the free bottle opener that comes with the backpack cooler. Now, you don’t have to worry if you left yours at home, because the cooler has you covered!